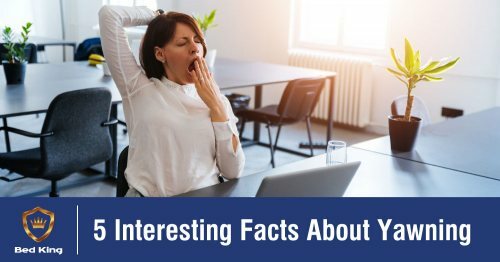 Yawning is most commonly associated with sleepiness, but that’s not the only reason people yawn. Paratroopers have been found to yawn before they jump out of airplanes, and athletes before they compete. As such, it has been theorised that the very act of yawning facilitates a shift in the body - making you more alert when you are drowsy, calming you down when you’re anxious, etc. A recent study conducted on the supposed contagious nature of yawning has yielded results that could be interpreted to mean that yawning is linked to the ability to feel and identify empathy. It was found that kids younger than the age of four (when we develop the ability to empathise) are unlikely to 'catch' yawns, and that children who have been diagnosed with autism are also less likely to pick up on the bodily cue. According to the latest research on yawning, the phenomenon may have thermoregulatory roots; i.e. it might be meant to regulate our body temperature and cool down our brains. Boredom, sleepiness, hunger, anxiety have all been known to cause anxiety and these things all have one thing in common - it causes a spike in brain temperature. As such, yawning could be a way to get cooler air into the body, which in turn cools down the brain. This theory is supported by the fact that yawning is more likely to occur in winter, when the ambient air temperature is cooler, than in summer, when it's not. Certains studies support the theory that contagious yawning might be a primitive form of group communication that was meant to increase vigilance. I.e. as soon as one person started to nod off and yawned, it would spur others on to do the same to their brain function would return to optimal levels as a group. Yawning is not just a mouth function; it actually involves your entire body. Once a yawn sequence starts, the muscles around your skull contract and stretch, allowing for increased ambient air intake, which triggers secondary bodily responses such as stretching out your arms and back, and throwing your head back. There you have it - five interesting facts about yawning. Keep your eye on the blog in coming weeks and months as we share more expert insight into the science of sleeping and what you can do to ensure that you enjoy optimal rest that allows for peak performance throughout the day. In the meantime, feel free to get in touch with a Bed King consultant to learn more about our comfort-graded sleeping surfaces, or (better yet! ), visit us in store to experience our patented Comfort Solutions Lab® to find your ideal mattress.